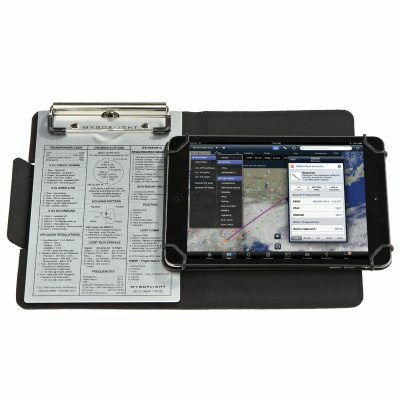 MyGoFlight’s innovative Folio C Kneeboard is a versatile and stylish way to secure your iPad in the cockpit and organize all your gear. 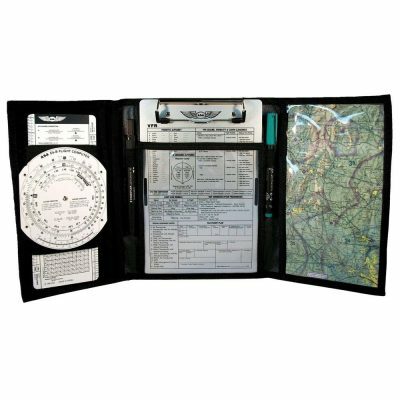 Made from high quality leather, it’s really three products in one: a rotating iPad kneeboard, a metal clipboard and an everyday case. Soft, rich leather wraps the outside while a protective microfiber material lines the inside. The iPad is held by a sturdy plastic clips on each corner. All of the ports and controls remain accessible so the iPad can be charged, synced and controlled when it is in its case. 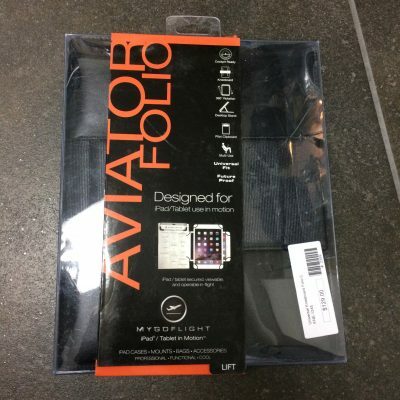 The clipboard is held in place by magnets, so it’s easy to move from the front of the Folio C to the left side panel. 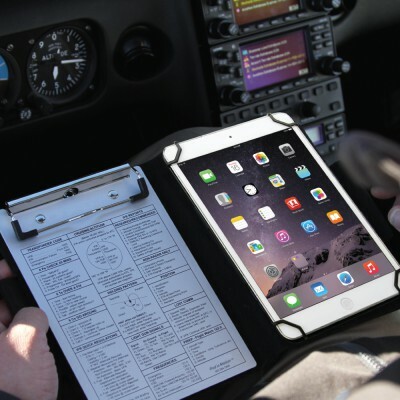 You won’t scratch your iPad screen.